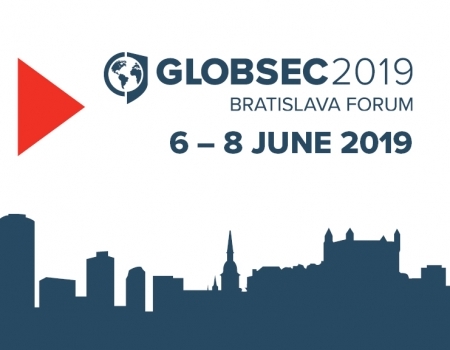 Over the past few months members of the GLOBSEC Policy Institute have been busy highlighting our most extensive and ambitious research initiative. 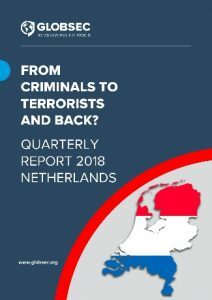 From Criminals to Terrorists and Back? 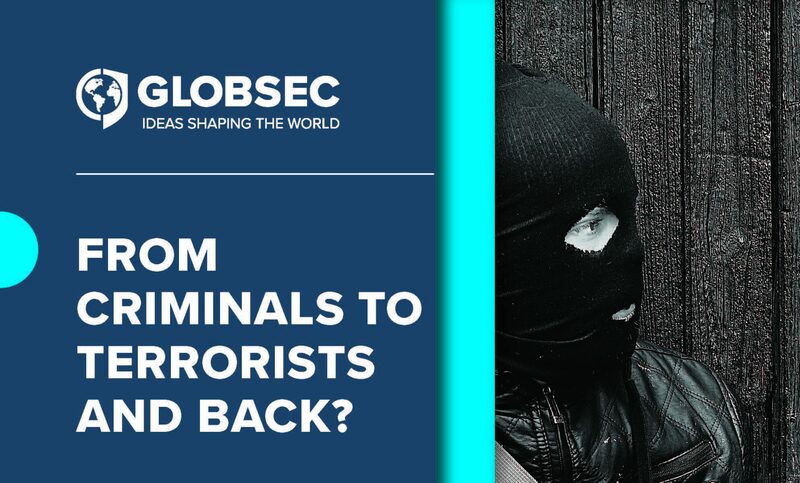 is a research and advocacy project that lifts the lid on Europe’s ‘crime-terror nexus’ phenomenon. 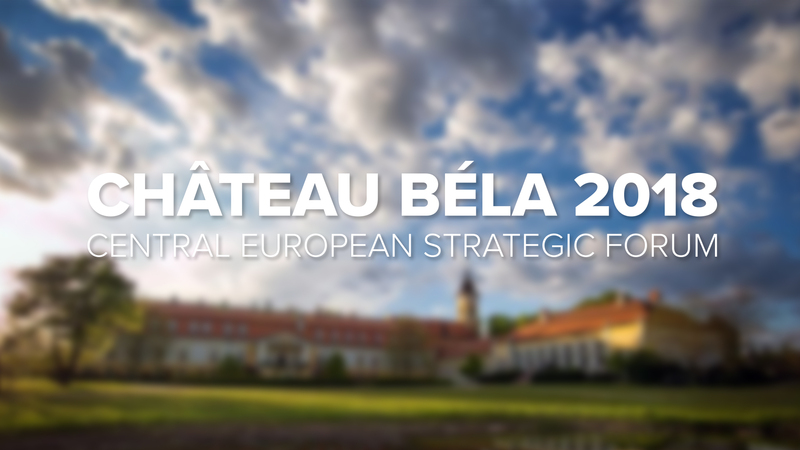 What follows is a brief roundup of our colleagues’ travels around Europe to present initial findings and discuss next steps with partners and stakeholders. 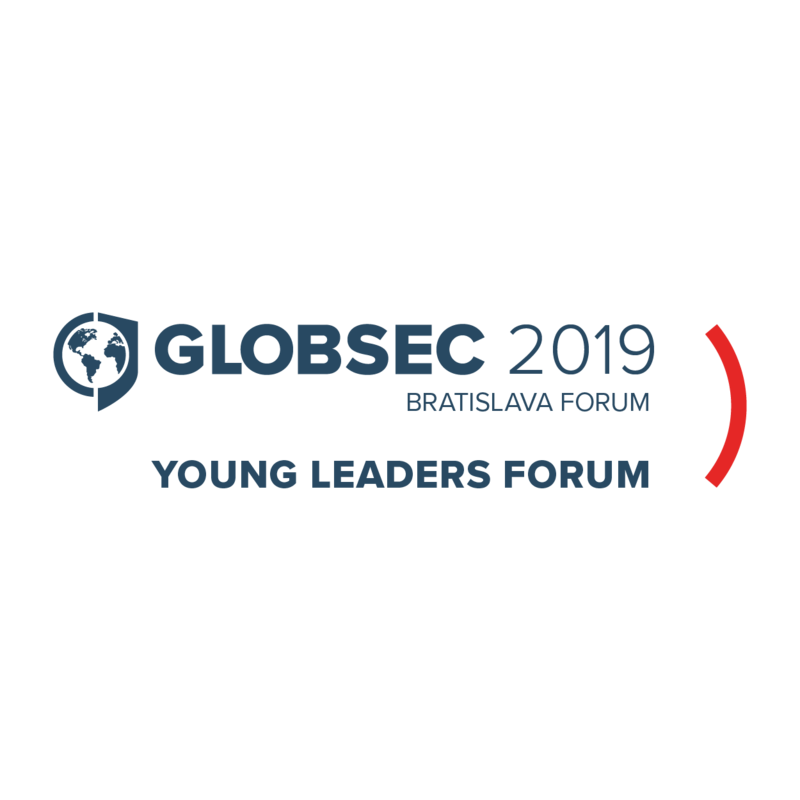 The project was most certainly on the agenda at GLOBSEC 2018 Bratislava Forum. Early March saw Stanislav Matějka present the preliminary findings of the research at Leiden University in The Hague. 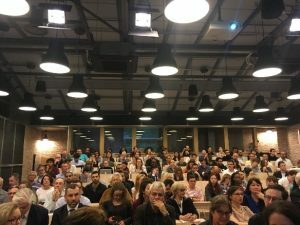 Representatives from the General Intelligence and Security Service (AIVD), National Coordinator for Security and Counterterrorism (NCTV) and Europol were present and offered insightful “practitioners’” comments. 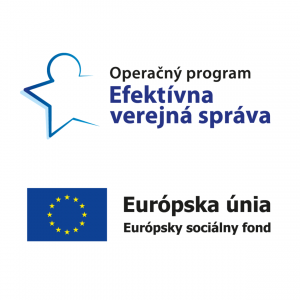 In the meantime, Viktor Szűcs took off to Sofia for an assessment visit with one of our partner institutions, the Center for the Study of Democracy (CSD). 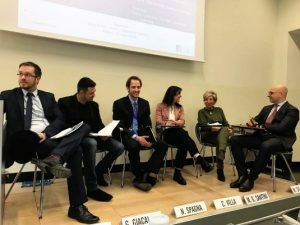 Another presentation of preliminary findings took place in April at the Catholic University of Sacred Heart in Milan. Alongside fellow project members Stanislav Matějka discussed insights emanating from our work with Italian law enforcement representatives. 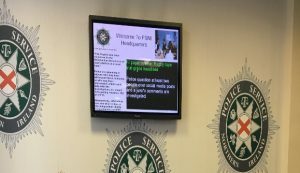 After Milan, Kacper Rękawek and Stanislav Matějka visited Belfast to brief representatives of the Police Service of Northern Ireland on the early stages of the project. 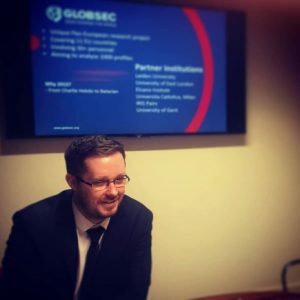 Kacper Rękawek then flew to Paris where he spoke at a seminar organised by The French Institute for International and Strategic Affairs (IRIS), GLOBSEC’s French partner on the project. The seminar drew a 250 strong crowd. 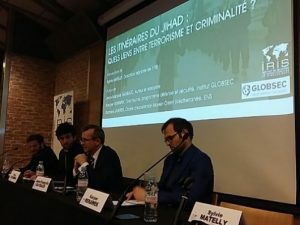 Kacper was joined on stage by key project members Pierre Colomina and Damien Saverot, and Jean-François Gayraud, a renowned French terrorism expert. 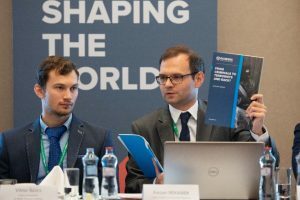 Stanislav Matějka was back in The Hague to attend the Europol Counter-Terrorism Centre Advisory Group conference. 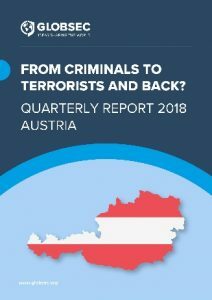 Online terrorist propaganda was the main issue on the agenda, with several projects on this and radicalisation presented at the conference. 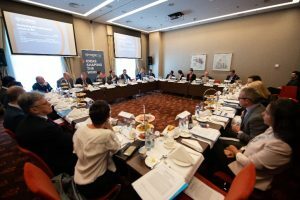 In the build-up to GLOBSEC 2018 Bratislava Forum our national research teams produced several quarterly reports on their respective countries. More will follow. 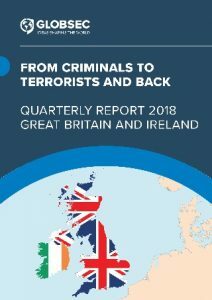 Our colleagues rounded off the first phase of From Criminals to Terrorists and Back? 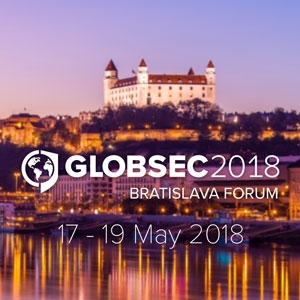 with a series of high-profile discussions at GLOBSEC 2018. 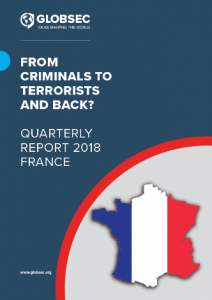 Research findings were presented at two closed-door events in front of expert audiences including police liaisons, counterterrorism experts and practitioners. 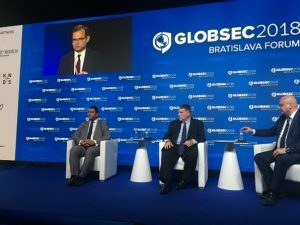 The main panel dedicated to the crime-terror nexus was led by Kacper Rękawek and featured world class experts Magnus Ranstorp, Research Director at the Centre for Asymmetric Threat at the Swedish National Defence College, Nick Rasmussen, former Director of the National Counterterrorism Center in the Office of the Director of National Intelligence and Maqsoud Kruse, Executive Director of Hedayah. 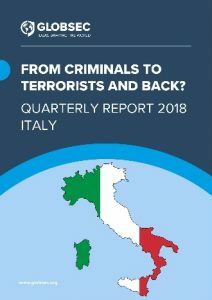 The upcoming months will see the project reach new shores with presentations and seminars in Brussels (at the European Union Institute for Security Studies), Madrid (at the Elcano Royal Institute) and Liverpool (at the Society for Terrorism Research International Conference 2018).